My Sunday was a busy day!! I stayed in the kitchen and batch cooked all day!! I cut up all my vegetables, cooked some chicken for salads and sandwiches, cut up my fruit, baked sweet potatoes and butternut squash and I made 5 loaves of bread. Plus I made a batch of cookies, made dinner and I’m still not done yet. After I finish writing this post, I am going to whip up a batch of Peanut Butter. I am almost out of Peanut Butter and I just can’t let that happen. Before all of my batch cooking I did do my Trader Joe’s run and for all you Cookie Butter fans, it is in stock. They must have double stocked it because its all over the shelves and displays. Other than that I really didn’t see anything new. I’m trying to be a little better on my grocery shopping, being a food blogger makes it hard because I want to make everything, but I do need to control myself. So I’m trying to use up what I have on hand. I didn’t do to bad, this cost me exactly $102.00. It’s enough to get me through the next couple of weeks. However I will probably run out of meat considering I only bought chicken, but I do have some ground beef, hot dogs and sausage in the freezer. Here’s a peak at what I got. Since I was making bread, I needed a pizza stone and the one I had got ruin in the garage. My Husband has been working on his car and there’s blue paint everywhere, you know the blue thats a color of a Smurf. Well it got on my stone and I couldn’t get it off, which made for a great excuse to go to Cost Plus World Market. I had a $10.00 coupon so with that I bought a few goodies. I found a nice pizza stone that’s rectangle shape, which is perfect for bread and I found Sonoma Jack Pepper Jack wedge cheese for 25 calories a wedge. Do you know how hard it is to find Light Pepper Jack Cheese? I was so excited when I saw it! There’s so much I could use it for!! Lots of info from me today, but I have to tell you about the new feature on my blog which you may have noticed, it’s call ZipList. You can now print my recipes (no downloading or anything needed, just hit print) and whats even better with Ziplist you add it to your recipe box for future making and add ingredients to your shopping list. What’s Ziplist? 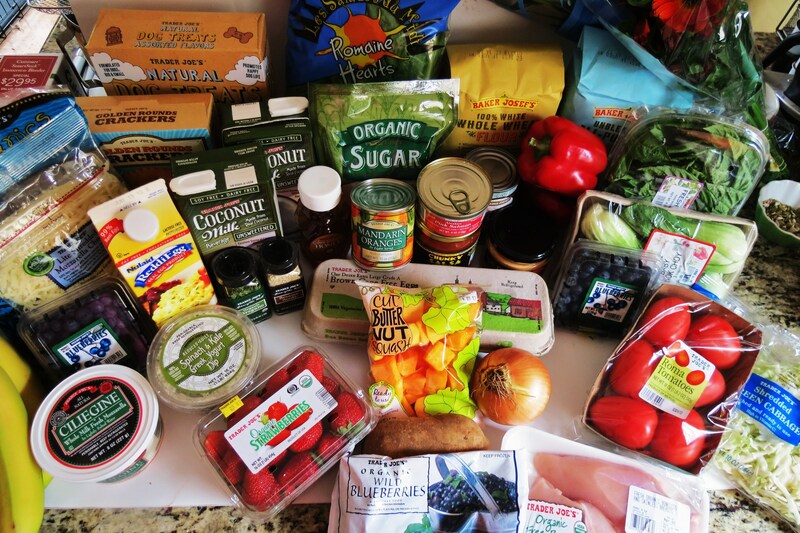 It’s a free website (two minutes to sign up), where you can make create weekly meals, organize your grocery list, and Sync your lists and recipes from your cell phone. You can even share your lists with family members. Plus, if you add an item to your grocery list and there’s a coupon for it, Ziplist will send it to you. I thought it was pretty cool. I really like the print and saving a recipe part. It’s seems to be the new thing and lots of other bloggers are getting it. No harm in checking it out, just go here. One last thing before I get to the Easter Cookies. I wanted to share with you the 5 loaves of bread I made today. It’s a fabulous Seeded Oat Bread and wow is it soft for wheat bread! I love it so much I ate half a loaf by myself today! I got the recipe from The Cafe Sucre Farine. Chris is the owner of the blog and what a wonderful person she is. She’s sweet and has the most delectable recipes ever. I look forward to getting her post in my e-mails everyday. I never know what she’s going to make next, but I can tell you, it’s always so good. I have made several of her recipes from her Pecan Crisps, Granola Rounds and Meyer Lemon Vinaigrette. Now I can add the Seeded Oat Bread to my collection. Now I love the Sunflower Seeded Bread from Trader Joe’s, and I thought nothing would top it, but guess what I just found the ultimate replacement. It’s way better than the Sunflower Bread! I love this bread! I followed the recipe exactly except I didn’t have sesame or poppy seeds so I added caraway seeds, but the rest is the same. It’s such a wonderful, delicious seeded wheat bread and it’s healthy too. It’s easy to make, no kneading required. I made the batch Saturday afternoon and put it in the refrigerator to let it rest over night. Woke up Sunday morning, took the dough out, shaped it into a loaf, than I let it rise and then I baked sweet, sweet bread. So easy, anybody could make this bread. It’s a true Artisan Bread! You have to check out The Cafe Sucre Farine, here’s the link for the bread. Oh and be sure to check out all of Chris’s fabulous recipes!! Ok, now for the yummy cookies. 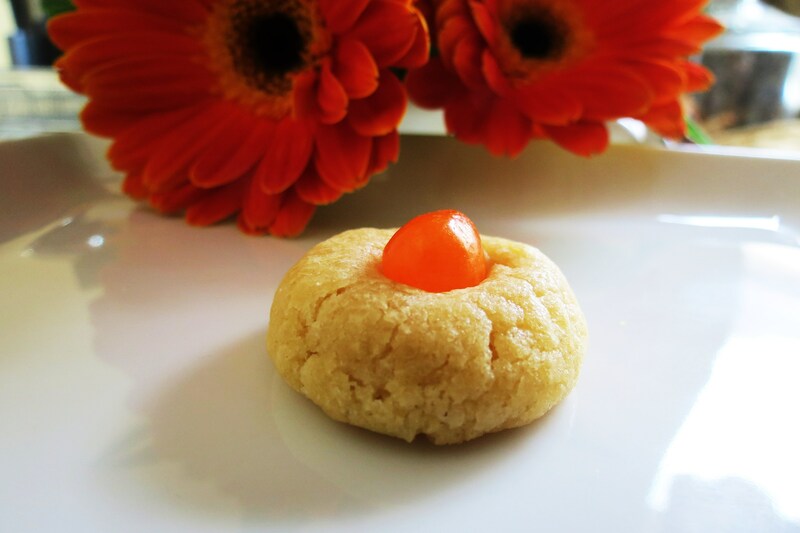 These cookies are one of my favorite sugar cookies. The last time I made them it was at Halloween, when I added Candy Corns to them. Well now there back with an Easter theme. Their such a cute, versatile little cookie. I love them, there adorable! What I like about these cookies is that they are soft on the inside, a little chewy and have a perfect slight crispness on the outside. Plus they are quick to make. There’s no chilling time here. I made a batch of 35 cookies in less than 20 minutes. Talk about quick! Place butter and sugar in a medium bowl; beat with a wooden spoon until combined. Beat in egg yolk, vanilla, baking powder, and salt. Add flour, and mix until a dough forms. Scoop out level teaspoons of dough, and roll into balls (chill dough briefly if it becomes too soft to handle). Place balls on baking sheets, 2 inches apart. 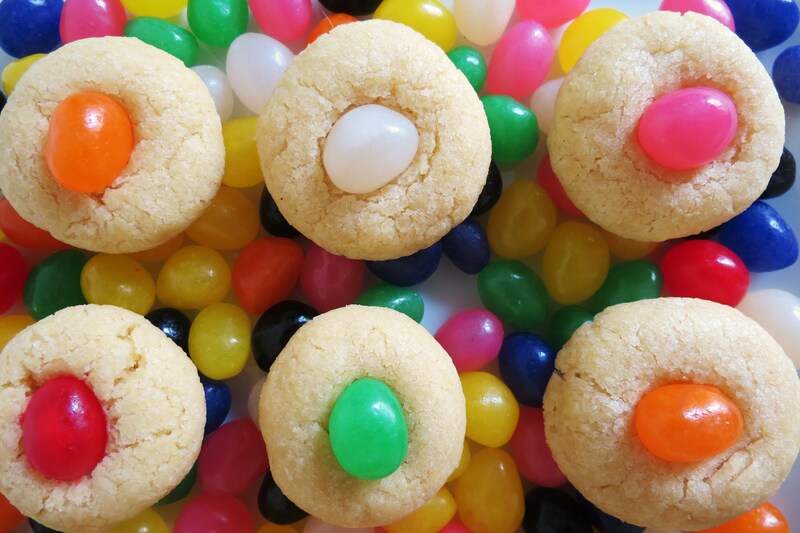 Remove from oven; gently press a jelly bean into center of each cookie (surface of cookies may crack slightly). Cool on sheets 1 minute; transfer to a rack to cool completely. I used my hands during the final mix, otherwise they seemed to not stick well. 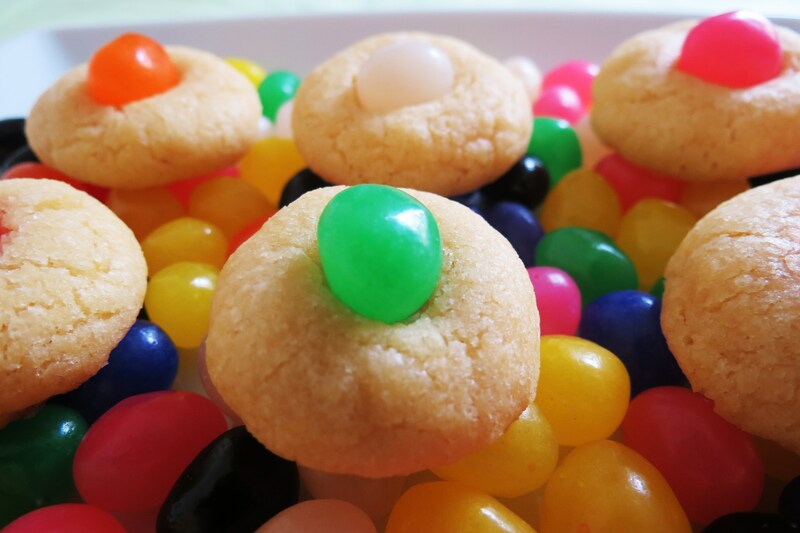 Also, press the jelly bean in lightly, the cookies tend to crack. I used and leveled off a teaspoon to get 35 cookies, otherwise if you make normal size cookies you will probably get about 12 -18 cookies in the batch. I didn’t realize my post would take so long to write, so I must be going, I really need to make some peanut butter or I may go crazy!! Have a great week!! 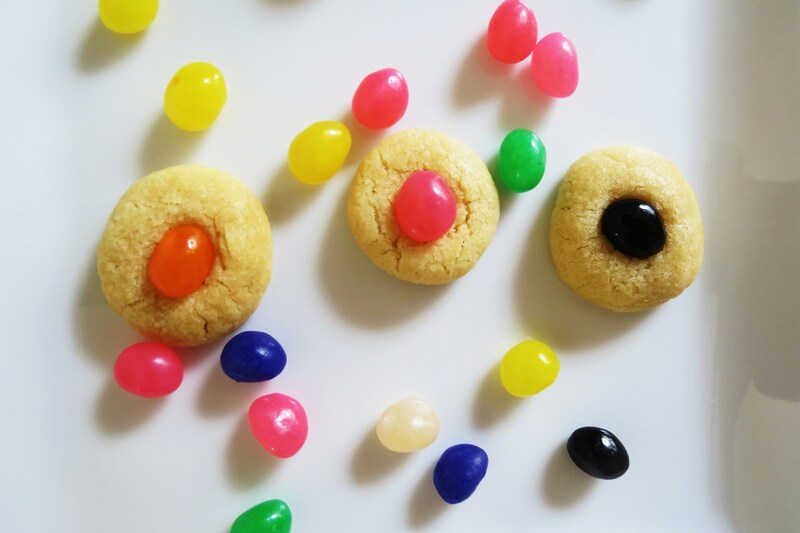 Enjoy the Jelly Bean Easter Cookie picture show! I DEF need to head to TJ’s for some cookie spread….they were out last time I went and I was DEVASTATED (although my thighs were quite thankful). 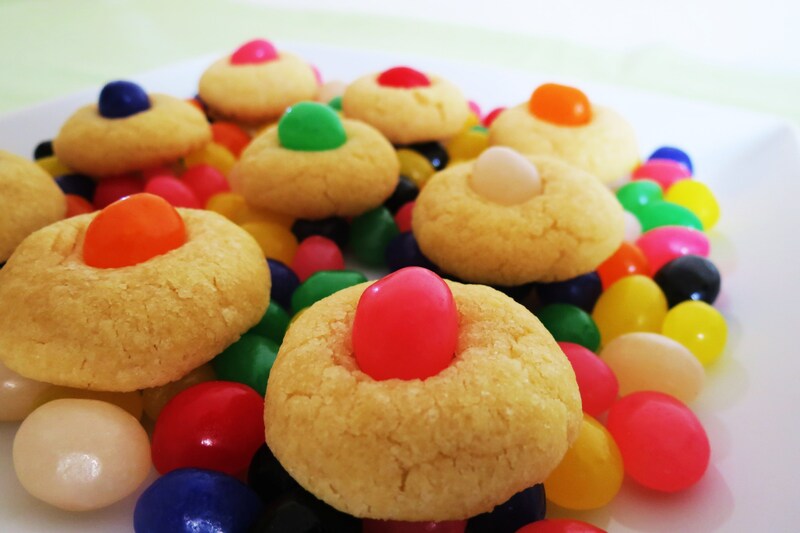 Those jelly bean cookies are just the cutest! I was at TJ’s earlier this week and they didn’t have the Cookie Butter, but my store has a ton of it now! If your store doesn’t have it, I’m sure they will get it in soon! Thank you! 🙂 If you make them let me know what you think! Have a great day! You, my dear, are a very busy bee baker! Wow these cookies are so cute and only 41 calories? Love that! And your bread …………. just amazing that you made 5 loaves, very impressive! It looks so professional – like it came right out of an artisan bakery! Thanks for the link and very kind words, I’m so happy you enjoyed the bread! Very cute! 🙂 My wife has a mild jelly bean addiction and would love these. These are adorable! I LOVE jelly beans! 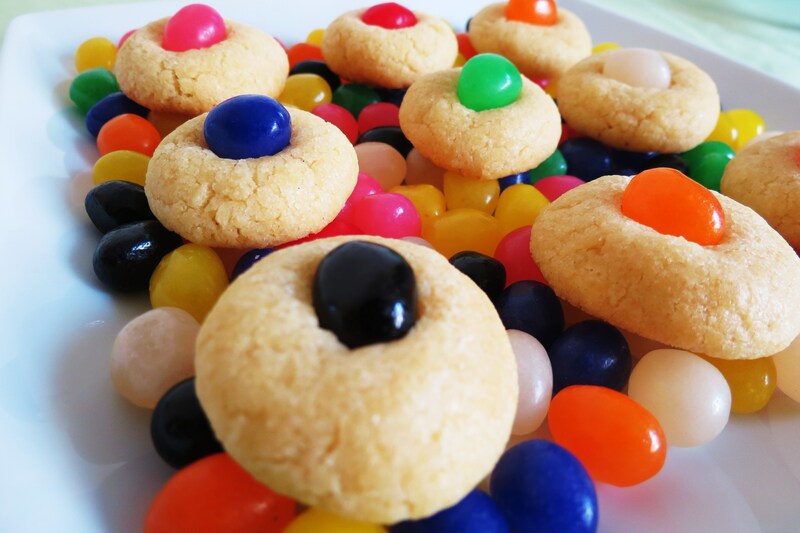 love the idea of jelly bean cookies and they look so adorable Jen! your sunday was well spent. 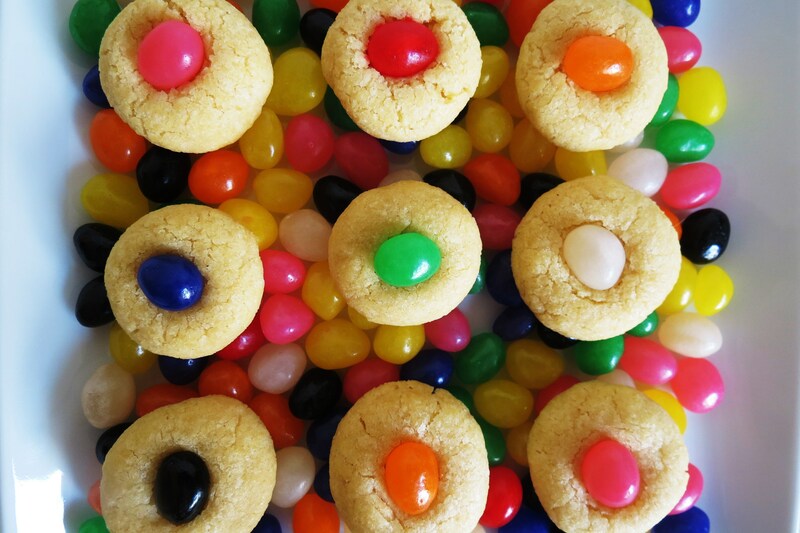 These cookies look so bright, fun and irresistible! 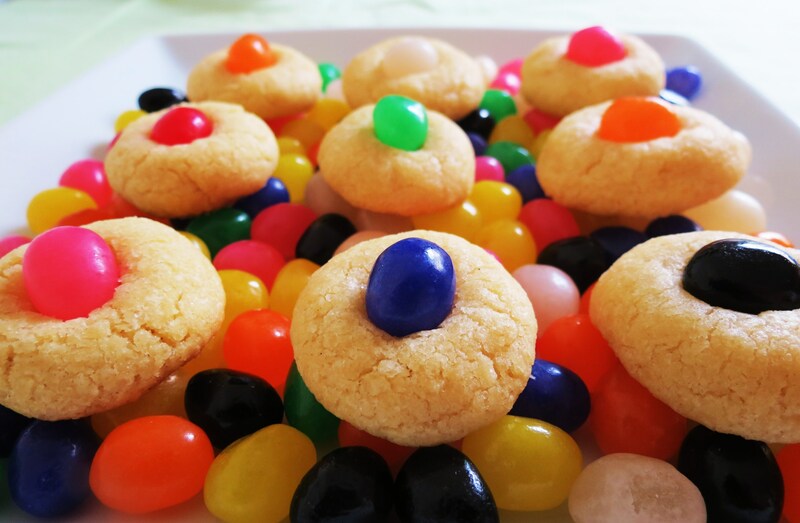 I’m Marina from POPSUGAR and I was wondering if I can use one of your photos from this post: http://www.peanutbutterandpeppers.com/2012/03/26/jelly-bean-sugar-cookies/ for an article. I will link back and credit you of course! Let me know how you feel. 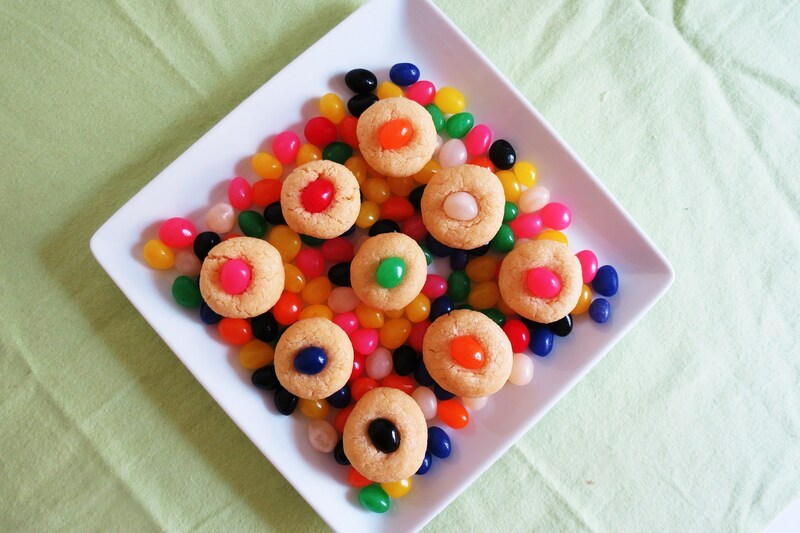 And if you have any more jelly bean recipes or craft ideas, feel free to pass them along! Hi Marina, thank you! Yes you can use my photo. I appreciate you asking. Send me the link and I will share it. Thank you!